It's time to gear up for finals! FIU Libraries finals weeks hours have been extended to help you prepare... check out the full hours page for more details and our full schedule. And don't forget those study tips! Happy Thanksgiving, Panthers... the FIU Libraries wish you all a happy and safe Thanksgiving holiday! When the Miami Book Fair International hosts one of its final events, a reading entitled Poems: Reading From New Books on Sunday, November 22nd, FIU Libraries Reference Librarian Beatriz F. Fernandez will be among the participants. 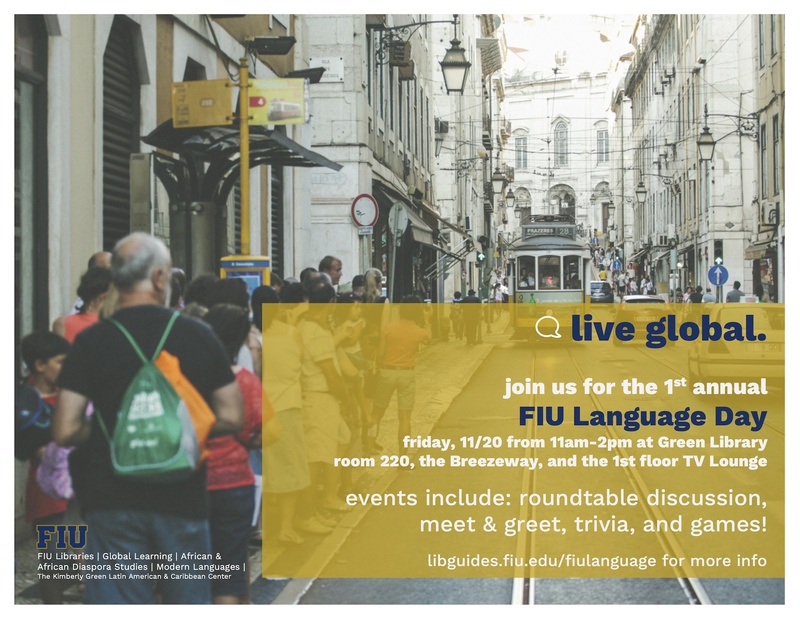 The FIU Libraries and its partners present the 1st Annual FIU Language Day. We now have trial access to SAGE Research Methods. Join us for a Citation & Bibliography Management with RefWorks worshop, tomorrow, Tuesday, 10/18 at 3:30pm in HL150. Gaming @ the Library is an initiative to engage students, faculty, and staff in an informal, social setting. This special “edition” of Gaming @ the Library on Thursday, October 29th will feature a Halloween themed cosplay (costume) contest. Come for the games, come for the contests, or come for the prizes, but come check it out! The GIS Center's annual GIS Day will be held on Friday, November 6 from 9:00am-5:00pm in the Green Library (GL) 220. This year's theme is "Sea Level Rise." The event consists of an all-day series of presentations centered on sea level rise analysis, mapping and geovisualization, adaptation and mitigation strategies, and other geospatial technology applications for better understanding and adjusting to the rising seas. GIS Day: Sea Level Rise is free and open to all members of both the FIU community and the broader public. We now have trial access to Wildlife & Ecology Studies Worldwide, which is a bibliographic index to literature on wild mammals, birds, reptiles and amphibians; and comprised of records from Wildlife Review Abstracts. 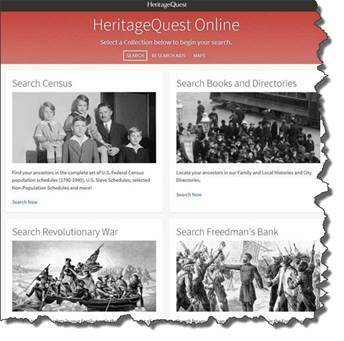 Interested in genealogy and your family history?